How delighted was I to find one of my favorite architects among the preppy icons listed in True Prep. Frank Lloyd Wright was truly a pioneer, a man decades ahead of his time. 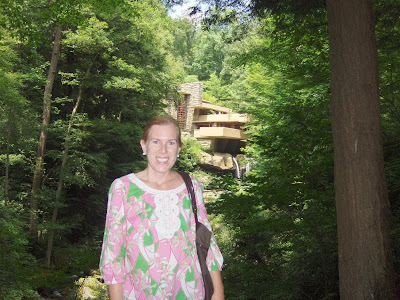 This summer, I visited Fallingwater, the summer home he designed for the Kaufman family from Pittsburgh. It is truly one of the most beautiful and serene places I have ever visited. 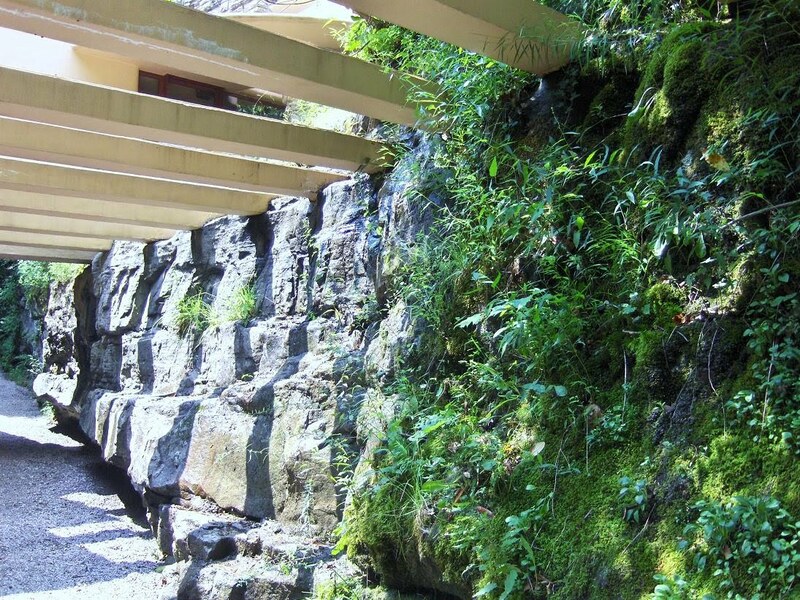 I spent hours exploring the house and grounds and was so calmed by the sound of the waterfall that is a focal point of the construction. 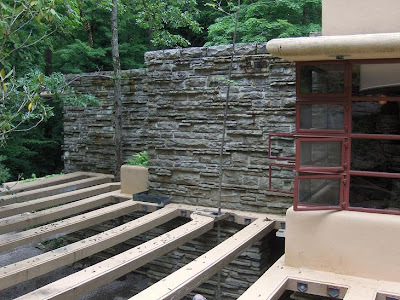 I love the way Frank Lloyd Wright uses light and natural elements in Fallingwater. I've always loved this style of architecture and love how the architect for my old house in Mexico interpreted Frank Lloyd Wright in my Mexican home...Do you see any similarities? 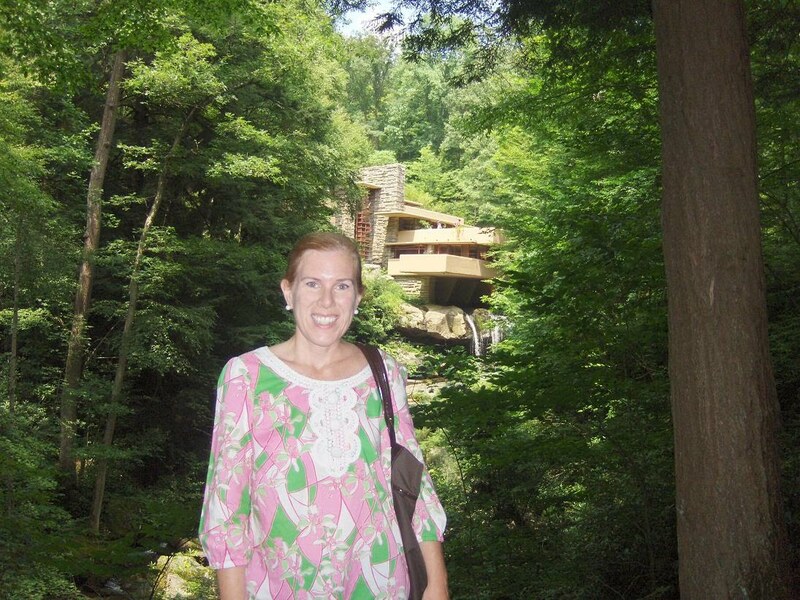 I had friends in architecture school in college who went to Fallingwater - every year a class made a pilgrimage there. It looks gorgeous - love the stone, the light, the water. Love how FLW incorporated nature into living spaces. Love your blog! Maryland = love!